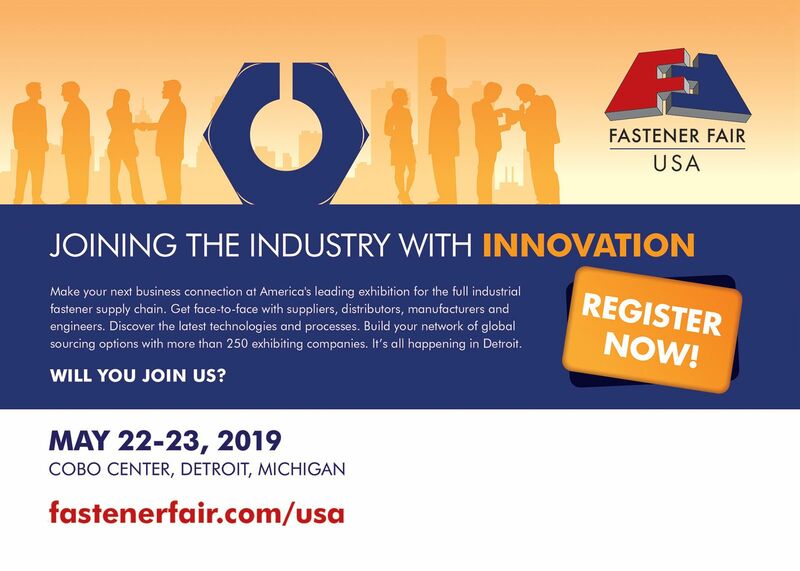 The second annual Fastener Fair USA will be held in Detroit, Michigan, putting the show in the center of the biggest manufacturing hub in North America. Combining a comprehensive display of industry innovation with highly relevant education and unmatched opportunities to connect with peers and industry experts will create a trade show experience unlike any other. Whether you’re looking for new information or new ways to keep your business running at peak performance, your solutions are here.